Suzanne joined Synergy Global as our Team Leader of Effectiveness Consulting in November 2014, after a strong career in Human Resources & running her own successful consulting business. She commenced her career with a variety of HR roles in large multinational companies, gaining practical & broad expertise across the general HR/OD area by partnering with leaders to improve people management strategy & skills. Suzanne then moved into the field of Occupational Health & Safety plus Occupational Rehabilitation, as General Manager of NRU Worklife, where she led the business to market leadership in outcomes & service quality. Committed to creating a great values-based & client-centric company culture, Suzanne recruited the best possible talent in the field, then trained & mentored them – growing the company from 6 consultants to 30 - increasing turnover & profit x10 over a five year period. As a founding Managing Director of Work Solutions Group Pty Ltd. (WSG), Suzanne helped drive an innovative culture of entrepreneurship, staff empowerment, fun & achievement. WSG became the OH&S feild ‘employer of choice’ - proving to be a training ground for many successful & future industry leaders. Suzanne created a partnership approach with clients such as Australia Post, Telstra, Woolworths, Visy, Grocon, Heinz, Carter Holt Harvey, plus a variety of major hospitals & government departments. WSG grew over the next 10 years nationally to 150 staff. The business also won a national business award – the Australian Government & Telstra Small Business Award (1997) delivering value to clients & improving business performance/results. 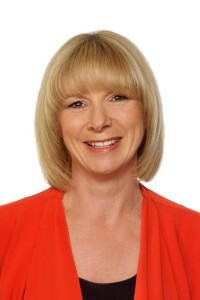 With more than 30 years Executive/Board experience across strategic & operational levels of leadership, Suzanne is passionate & committed to working with clients to develop capability & effectiveness, with High Performing Teams (HPTs), supported by a culture for organisational sustainability & success. Suzanne is soon to complete her Diploma in Neuroscience Leadership & is enjoying sharing the latest brain science in leadership with her clients & colleagues at Synergy Global. When not at work Suzanne can be found enjoying the company of her two daughters 11 & 14 years; great movies; bushwalks with her husband; & planning the next adventurous holiday.